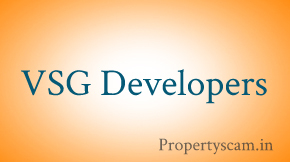 VSG Developers is one of the leading real estate companies based in Silicon City of India. 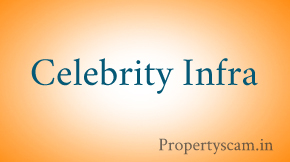 Since the inceptions, this builder has the track record of developing many properties under the leadership of Mr. V Prabhu Kumar one of the renowned personal in Bangalore real estate segment. VSG real estate builder and developer have successfully completed four projects called Paradise in Hosur Road, Reliable Pride and Residency in HSR Layout, and Residential Layout in Electronic City. All the projects are rich in amenities like club house, swimming pool, table tennis, outdoor games, children’s play area, basketball etc. Currently, they have four ongoing projects called Lake Forest in Hosur Road, Nature Valley in Sarjapur Road, Lakeview in Electronic City, and Dream Hills in Kanakapura. 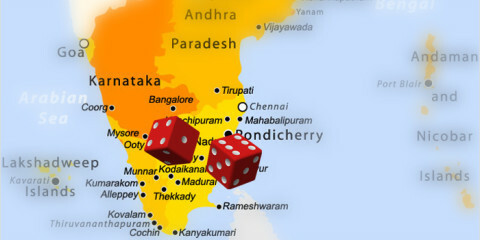 This property builder also has four upcoming projects named as Enclave in Hosur Road, Lifestyle in Sarjapura Road, B R Resorts in Sarjapura and Madikeri. We request all our users to share their feedbacks, comments, reviews and ratings of VSG Developers and their projects with prospective buyers and us. VSG developers is known for their master build up. I booked a 3BHK flat in LAKE FOREST, when i visited that place for construction, i really appreciate their work. They are using good products for construction. Here many people is talking about Bank loan, sometimes loan can’t be approved for everybody. So keep patient and be with VGS developers. Can anybody help me know the reputation of VSG Projects and its owners Mr. V Prabhu Kumar, Especially around the layout project nature valley near Narayangatta. 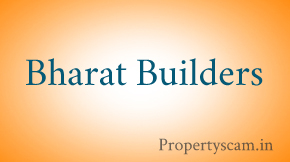 I am hearing lot of negative rumors about this builder. have anybody bought the plot in this layout. I am planning to buy property in VSG projects. I am worried about these reviews. Should I go for it, are there any proven frauds and misleadings by this VSG developers? Get one single customer who is at least partially satisfied, then you put your hard earned money. I understand you have Insisted on a state bank loan for purchasing a flat in our lake forest apartment and you are now wondering about the delay in processing the state bank approval which is creating unrest in you . Yes, State Bank loan approval for the Lake Forest apartment project is delayed on account of procedural formalities as the state bank is demanding originals of the mother deed. We wish to state that the schedule property 15000 sq ft on which Lake Forest apartment is being built is a portion of bigger parcel of land exceeding over one acre. Hence the land lord did not part the original mother deed to VSG developers. Please note all the required and valid title deed originals relating to the scheduled Lake Forest property , acquired by VSG developers through outright purchase are in our possession along with the photocopy of the Mother deed. We are pleased to inform you nationalized banks & other financial institutions have already approved the Lake Forest project after scrutinizing these available documents. Since more than 50% sold out in a short span and all the customers were comfortable with the existing bankers and more over since none of them seriously expressed an interest for a state bank loan, we did not feel the necessity to seek a state bank approval. Now that you have demanded for a state bank approval in order to purchase a flat at lake forest , we remain committed to seek the state bank approval at the earliest …. Allow us couple of weeks and we will attempt to sought the issue and will revert to you with positive news and in this instance the state bank approval. In the meanwhile if you are interested in processing with LIC/Punjab National Bank/IDBI/axis bank etc do let us know and we would be pleased to assist you in total happiness. Hope that above clarifies our stand .. This is frustrating to wait for 5 months for loan getting sanctioned from SBI, please see prabhu kumar’s mail above. 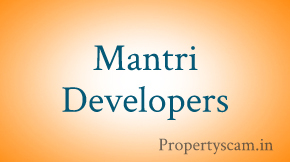 What about the dream hills project, for which you have taken a huge amount from us (Rs 100/- per sq feet). Till date after 8 years the project is not started. Today I saw in your web site the rate has gone 90% down. I have booked a flat with VSG for project Lake forest, please provide your valuable feedback on the Developer and its validity and genuineness. Its almost two months, still they are telling SBI loan process going on but they had promised to customer to make avail the loan within a week. ASK WRITTEN DOCUMENT TO PROVIDE COMPLETION CERTIFICATE FROM BBMP ……..i bet they will kick you out of office ….without this document your flat is illegal to occupy. this is to address Mr. Babu. I am about to finalize an apt at your newest project @ HSR extension. How would I be sure of your authenticity after reading bad comments and when you are new as a builder. Is that as a builder you are give possession on time. All the amenities promised @ the booking time would be given after possession. Is that all the legal papers come clean? I am also going to deal a property at singasandra. but SBI still not approved the loan( SBI agent Vivek informed), but their sales man are telling all banks providing loan. I am bit confused to go or no go with the deal. please provide some suggestion. This is true that they are new in market and qality of work is a question mark till they come with standard. I will be in position to provide more about by next week or end of july 2013 as I am in contact with them. What is the status of your purchase. How is the building coming up. Have you done a legal opinion for the property. Its been some time now since your last post so may be you would have seen many things which you may like to share with all. please reply yr mail or number.. I have taken back my money as there was legal case going on. Request all of you to check before purchase if legal case with AECES layout is resolved or not. Mr, Vishal can u tell me one thing that you are availing the loan for flat or buying my flat to get loan from SBI………. this is to address Mr.Babu. I am about to finalize an apt at your newest project @ HSR extension. Hi, we brought a plot in Lakeview, Bhakthipura, Attibele. We have paid the first instalment. Till now, there is no progress as to the registration of the site. Kindly tell me what is the status now and what is the steps ahead for registration of the site. I own a few lots in VSG Lakeview in Bhaktipura village. I had last visited the site in early 2013. There were no paved roads or electricity. I had hired a lawyer who visited VSG offices,checked all records and confirmed they have a clear title to the land. Only then did I purchase this property. As considerable time has elapsed since my last visit, I shall be grateful if you can apprise me with a latest update on this development. Just wanted to know if you guys bought sites from VSG Developers individually or you know someone who has bought one and has lost money to them or feel they are fraudsters. What exactly is the reason for you guys to claim these guys are fraudsters. We are planning to pick a plot from these guys, hence your valued opinion matters a lot to us. How to contact you ? I am almost finalized the house in Reliable Pride. Pls don’t misuse the forums to create bad image against any developer. This is not a genuine feedback about Vsg developer. 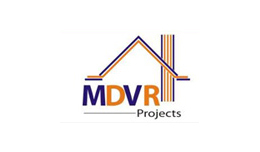 I know them for many years and I had invested in their projects too.They are very transparent and can download their approvals from their website. Their cost sheet is also uploaded in the website. If you have any doubts visit their website http://www.vsgdevelopers.com .Their projects are approved by Govt banks & Private banks. Hey, i am planning to buy from VSG green View located near sarjapur road domansandra. Can you please share ur view ? so that i will go ahead. You told that VSG Developers is target only NRI client may i know that how u came to know that builder is doing the deal with the NRI client………. and legal land. Not only Rude, Rowdies. YES, WE WOULD LIKE TO LET WORLD KNOW SIMILAR INCIDENT ABOUT ONE VSG DEVELOPERS IN BANGALORE. NOW THEY HAVE REMOVED THAT WEBSITE ALSO. SOME VERY RUDE PEOPLE HAVE CREATED FAKE NAME OF VSGDEVELOPERS & CHEATING PEOPLE. WE HAD DONE LEGAL VERIFICATION OF THEIR PROPERTY. THESE PEOPLE ARE SPECIALLY TARGETTING NRIs AS THEY ARE FAR & MOST OF TIME CAN NOT TRACK GROUND REALITIES. THESE PEOPLE HAVE EVEN WORKED UNDERGROUND WITH SOME LAWYERS WHO TRY TO PROVE THEY HAVE LEGALLY VALID PROPERTY. BE CAREFUL & WARNED.